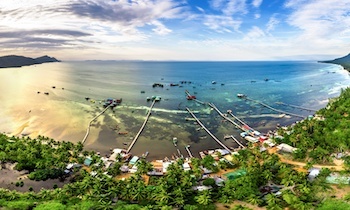 Phu Quoc is the largest island in Vietnam in the Gulf of Thailand with clear blue sea, cool streams and rich and unique seafood. 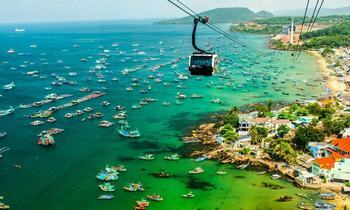 Phu Quoc has been the most attractive destination for domestic and foreign tourists. And for visitors traveling to Phu Quoc to get the best experience with friends and relatives, we would like to share useful information about Phu Quoc travel experiences that tourists can refer to, let's check! 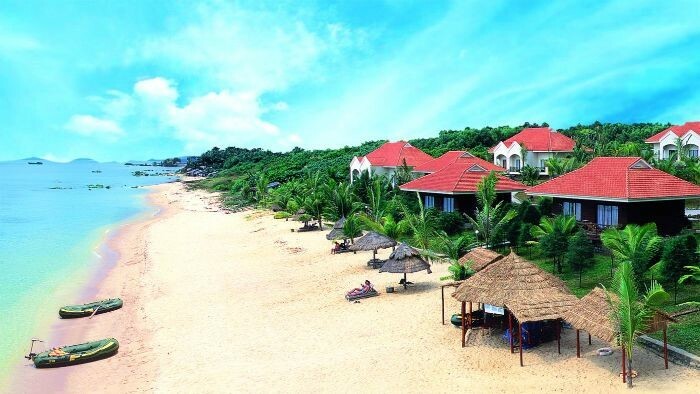 Phu Quoc is an island with an area of ​​1320 square kilometers, its length is 48 km from north to south covering a population of about 80,000. 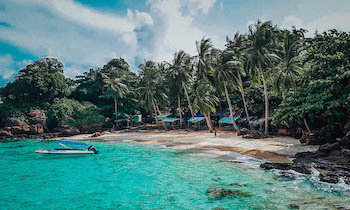 Located in the Gulf of Thailand and 45 km west of Ha Tien, 15 km south of Cambodia, Phu Quoc owns the most beautiful beaches and the best seafood in Vietnam. 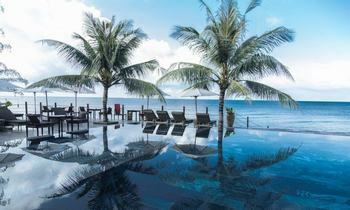 Mountains and forests in Phu Quoc have created a wonderful tropical vacation destination, and smooth white sand beaches and luxury resorts are great places to relax. 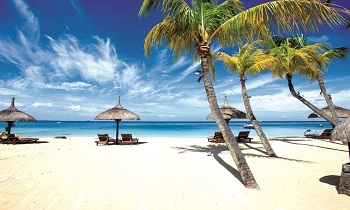 Phu Quoc island is influenced by tropical monsoon climate which is convenient for tourism development. 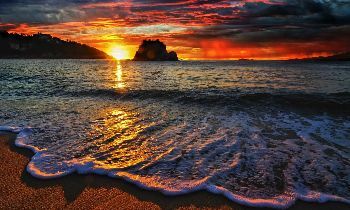 The climate is divided into two distinct seasons, the rainy season and the dry season. 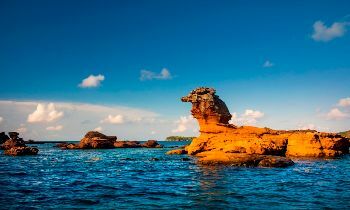 The rainy season in Phu Quoc falls between May and October of the lunar calendar, while the dry season starts from November to April of the lunar year. Therefore, most people choose to travel at the beginning of April and the end of October. The original ID card, passport or driver's license, train ticket, booking documents, etc. 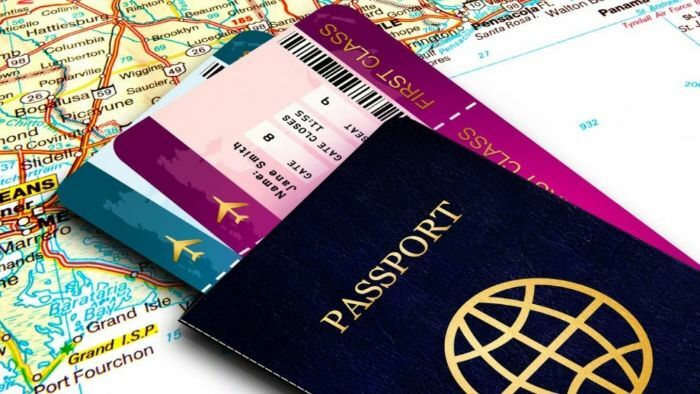 If parents go traveling with their children, they need to bring the original birth certificate or a certified copy of their kids. Small notebook for address recording, phone numbers can be contacted when there is a need. Copy of marriage certificate (if you want to share a room with a foreign guest). 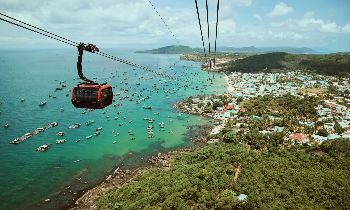 Certainly, when traveling to Phu Quoc, you will have to bring money but you should not bring too much to avoid the unfortunate risks that may occur. For more convenience, advice from people who have experience of traveling, you should bring an ATM card to avoid loss or if you run out of money, you can call a support person. To facilitate personal hygiene when traveling to Phu Quoc and avoid carrying many items, you should bring the necessary items such as toothbrush, mouthwash, toothpaste, towel, shampoo, conditioner, cleanser, shower gel, shaving tools for men and cosmetics for women. If you want the most lightweight luggage, you should bring that stuff with minimal volume. At the same time, you should know that facial moisturizers can also be used instead of sunscreen in many situations. Traveling to Phu Quoc, you often go for a long time, so you should bring some medicines to use such as cold medicine, anti-motion sickness drugs, personal bandage, insect repellent, headache medicine, abdominal medicine to prevent unsuitable food, especially seafood dishes. However, you should bring the most necessary things, avoid bringing too much to make it hard to carry. Speaking of clothing, when going to Phu Quoc, you should also pay attention to bring lightweight clothes that are easy to wash and fold. You can bring more shirts than pants because just changing your T-shirt, your outfit looks different. So you just need to bring 1-2 pants in your luggage and wear it many times with different shirts. Besides, it is also necessary to bring small hats, raincoats or umbrellas to avoid rain and sun. When traveling to Phu Quoc beach, you need to bring a swimsuit, towel and especially a wide-brimmed hat, etc. You need to prepare soft-soled shoes and sandals for convenience and comfort for traveling in Phu Quoc. You should only wear 3 pairs: a pair of sports shoes for walking, climbing, a pair of slippers and other shoes to replace when needed. So your luggage will become more compact and you still have enough stuff for your need. Traveling to Phu Quoc, you can save beautiful and memorable moments with friends and relatives or be a relaxing time and solve remote work, so don't forget to bring some of the following items: map, camera, charger, battery, memory card, smartphone, laptop, iPad, etc. Notice that if you do not have to deal with work, you should not bring too many technology items, you should only choose to bring a full-featured smartphone or cameras to save a great moment. It is better to put it neatly in a waterproof bag. With this information about what to equip when traveling to Phu Quoc, we hope that you will pack enough things to bring and have a great trip on this beautiful island. 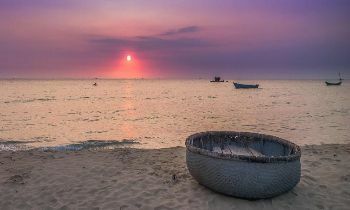 If you need further information about Phu Quoc, feel free to contact us. Thank you!